SAVE, A Friend to Homeless Animals hasn't added a story. YES- Kitten Season is a real thing! Kitten season refers to the time of year when many litters of kittens are born. The exact time of year depends on the region and the climate that given year. Most places in the United States experience “kitten season” between April and October. In past years, SAVE, A Friend to Homeless Animals, has been inundated with up to 100 kittens in a 2-month period. These unwanted, abandoned kitties were all under 8 weeks old. This year we plan to be a lifeline for 100 kittens again. Many kittens will need bottle feeding by hand with special kitty milk for 4 weeks and need 24-hour care and special bottle-fed kitten milk. Please help them survive these critical first weeks of life. 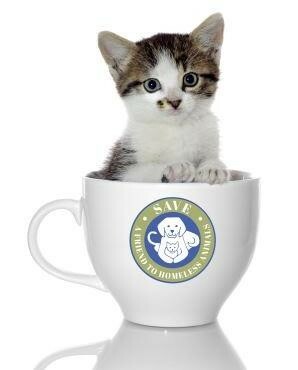 For $2.00, less than the cost of a cup of coffee, you can help feed a kitten for a day. PLEASE SHARE WITH YOUR FRIENDS -THANK YOU! SAVE, A Friend to Homeless Animals hasn't posted any updates yet. 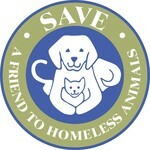 SAVE, A Friend to Homeless Animals is managing the funds for this campaign.